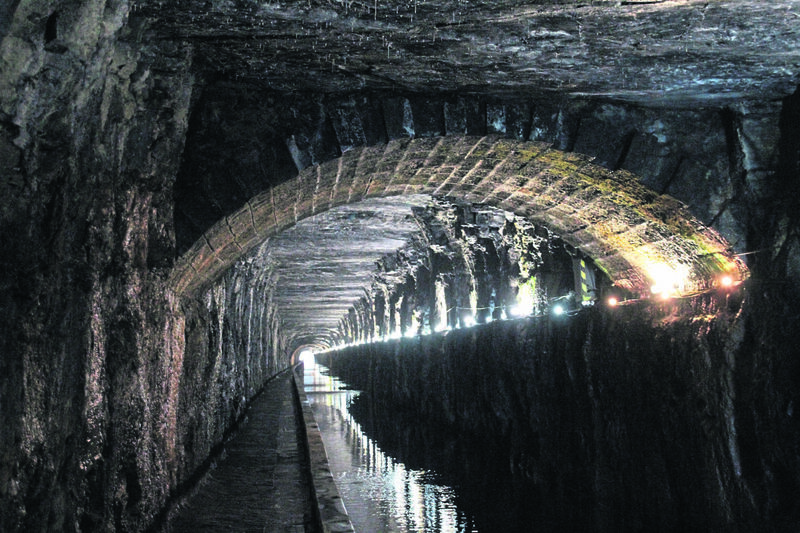 THEY’VE taken a light touch to illuminating the 690-yard-long Falkirk Tunnel, blasted through solid rock by navvies building the Union Canal. Scottish Canals engineers and contractors have completed a new lighting scheme, making the best use of today’s technology. That’s in sharp contrast to the oil lamps which originally lit up Scotland’s most impressive canal tunnel when it opened. Now, colourful LED and heritage white lights produce ever-changing sequences, highlighting Victorian engineering magnificence. The light show in just one of its many hues. 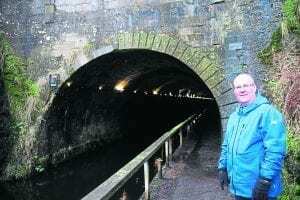 Project manager Steven Berry, Scottish Canals head of operations and delivery and mechanical and electrical engineer for Scotland, is justifiably proud and keen to show off the tunnel at its best. “We decided to take the opportunity to relight the tunnel and to enhance its features,” said Steven, as he explained how the whole light sequence, changing from heritage white light through greens, blues, reds and purples, takes an hour to run through. Falkirk Tunnel is amazing enough, even without its new lights. Designed by engineer Hugh Baird, it was built between 1818 and 1822, and passes under Falkirk’s Prospecthill. Navvies dug three shafts, which are still visible, to bore down to complete the 18ft-wide and 19ft-high tunnel, with its 5ft-wide towpath. Man with the light touch: Steven Berry at the tunnel’s Edinburgh-end portal. 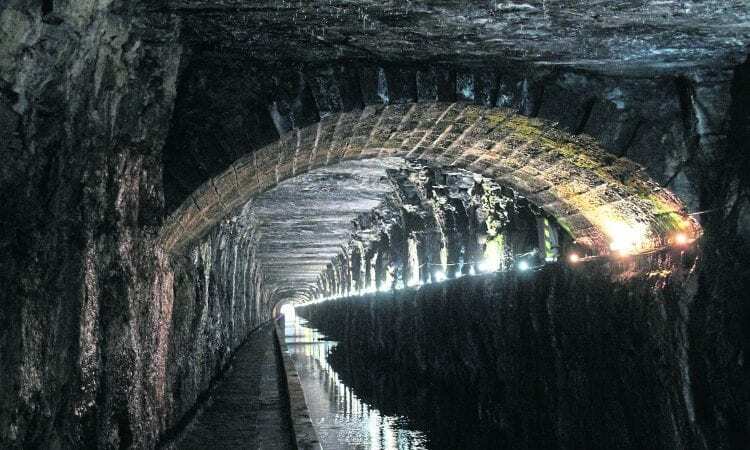 The tunnel was built at the behest of local landowner, William Forbes, of Callendar House, who insisted that the Union Canal should not pass through his estate. He was worried that the industrial cargoes on the canal would bring down the tone of his land. As Steven points out, barges full of ‘night soil, the sweepings of the Edinburgh privies’ made their way along the Union for use as fertiliser on local fields, so perhaps Mr Forbes was right to push for the tunnel! 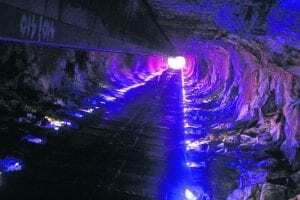 In today’s, thankfully, cleaner world, the imaginative new lighting system makes this historic tunnel more than worth a visit, for the colourful installation brings out the best of an engineering marvel as a tribute to the men who built it. If you’re visiting the Falkirk Wheel and the Kelpies, tread lightly towards the Falkirk Tunnel, too. You’ll find it very illuminating in every sense of the word. Previous Post:July 2017 issue out now!